God loved us first! 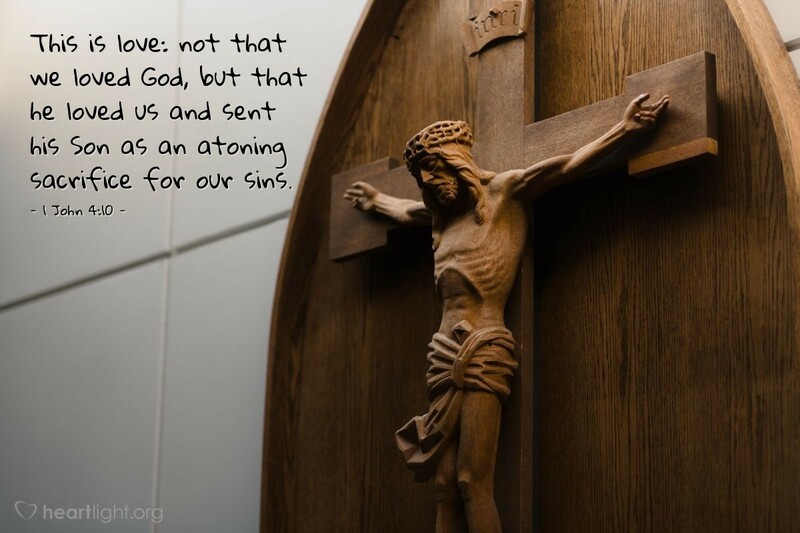 God paid the huge price for our atonement, first! Jesus is the great way God displays his mercy and justice. We know what love is, because he demonstrated it. How well are we demonstrating to others the mercy and justice of God? Father, your love seems is so vast, so gracious, and so life-changing. I ask that you, O blessed Holy Spirit, would help change my heart to more perfectly reflect and glorify the Father. In Jesus' name I pray. Amen.